Of all the pictures I took for my new book about Thai soups, this one for a Thai bouillabaisse, is probably my favorite. It makes me want to stick my face in it and start slurping all that seafood goodness. Am I right all you seafood lovers?! I don’t understand sometimes how anyone could not love seafood. If it comes from the ocean, I WANT TO EAT IT NOW. 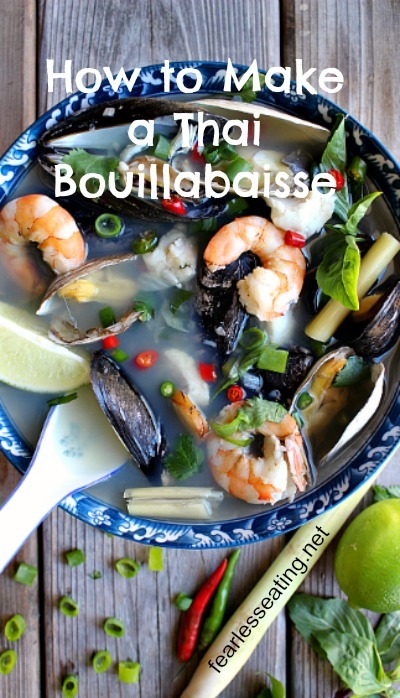 Well if you’re also a seafood lover, you probably love bouillabaisse, the traditional French seafood stew. But if there was ever a match made in heaven, I think it would have to be a fusion between a bouillabaisse and a simple tom yum soup. That’s the best way I can describe a Thai bouillabaisse. Basically, imagine a light seafood broth swimming with fresh fish and shellfish, infused with lemongrass, galangal, kaffir lime, chiles and then seasoned with lime juice, herbs and fish sauce. To make this meal truly divine, use fresh, local seafood and serve it on a beautiful summer evening overlooking the ocean with a bottle of white wine (or three) and good friends and family. I’m not sure a meal could get much better than that. Before I get to the recipe, let’s take a quick commercial break to tell you how you can get more recipes like a Thai bouillabaisse. 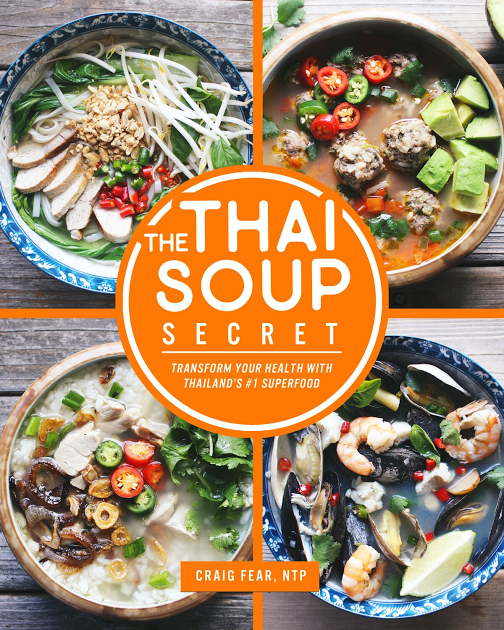 The recipe for a Thai bouillabaisse is also in my new book, The Thai Soup Secret. It’s part of the fusion chapter which includes 10 creative recipes that meld Thai cuisine with other ethnic cuisines. Also included are a Thai Portuguese kale soup, a Thai Mexican meatball soup, a Thai coconut carrot, a Thai mango gazpacho and a Thai basil pesto. There are also chapters on traditional Thai soups like tom yum goong and tom kha gai, as well as chapters on making Thai congees and a variety of bone broths. 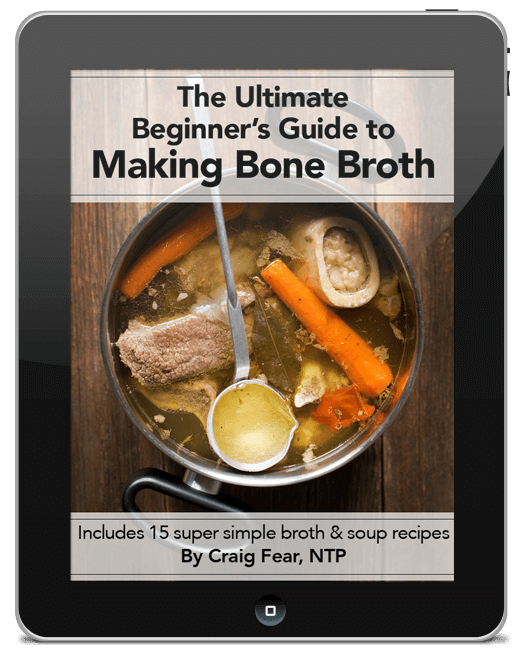 To learn more about the book, including a sample video demo for Thailand’s most famous soup, just click here. You can also find print copies on Amazon right here. OK, back to our regularly scheduled programming. 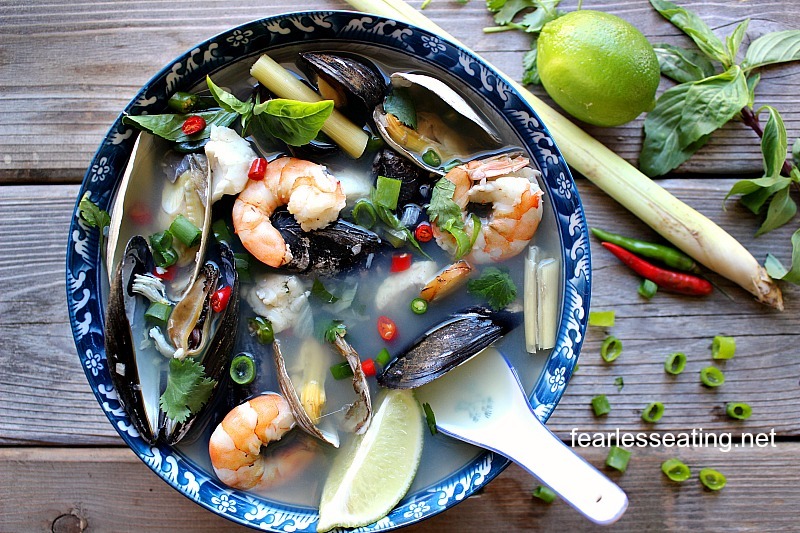 Seafood, Thai herbs and fish broth make for a simple Thai twist on a traditional bouillabaisse. 8 - 12 clams of your choice - steamers, littlenecks, etc. In a medium stockpot, heat the oil over medium heat. Add the shallot or onion, garlic, and jalapeno and saute for about 5 minutes. Add the broth, lemongrass, galangal, and kaffir lime leaves and simmer for 10 to 15 minutes. Add 1 TBSP of the fish sauce and 1 TBSP of the lime juice, taste the soup, and add the remaining 1 TBSP fish sauce and 1 TBSP lime juice, if needed. Add the cod, shrimp, clams, mussels, Thai basil, and cilantro and simmer until the mussels and clams open, about 5 to 10 minutes. 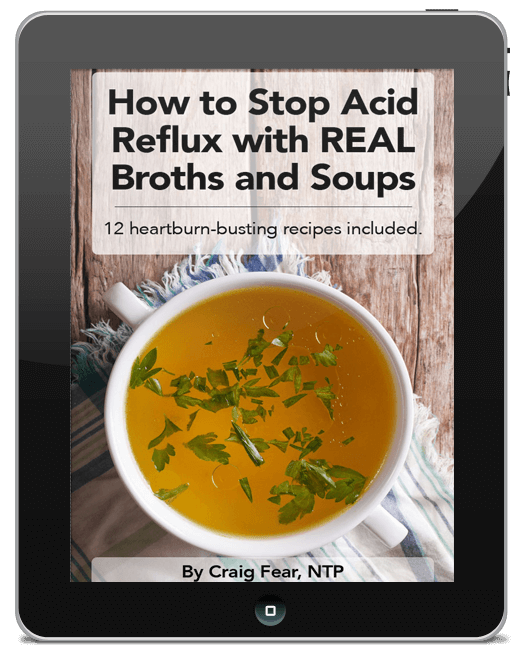 Ladle the soup into bowls and season with the additional seasonings, to taste.